You probably thought about growing your own weed sometimes, but concluded that it's too much of a hassle? Look no further, micro growing has everything you're looking for and more. As cannabis and its cultivation is more popular than ever and it seems that trend won't stop soon, we see more and more people wanting to grow their own cannabis. 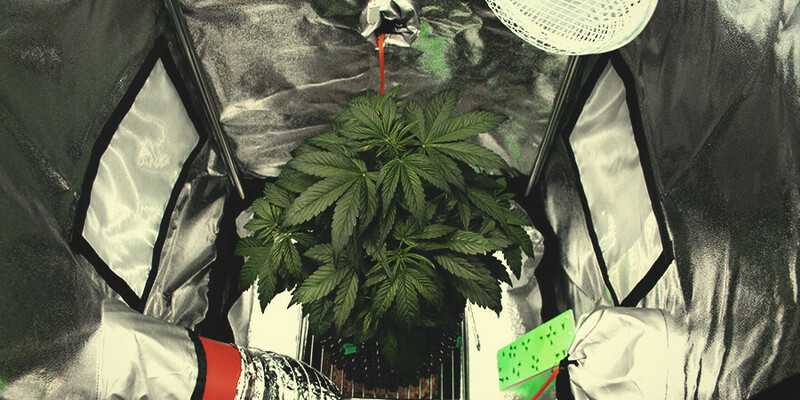 Most beginners to growing don't have the necessary experience or knowledge to start a full-blown indoor or outdoor growing operation, so they opt for a simpler option – a micro grow. Take a couple of seeds and plant them in a cupboard or a similarly small space, trying to get the best possible results of it – or in other words - micro growing. It is a natural way for beginner growers to get that needed experience and to experiment with no fear of ruining a big and expensive operation. This article will cover the basics of micro growing and the differences between it and a standard indoor grow, so let's get started. Micro growing would best be described as a process of growing a small batch of cannabis in a limited space, trying to get the best possible results. That being said, micro growing is a type of indoor growing, just smaller in proportions. 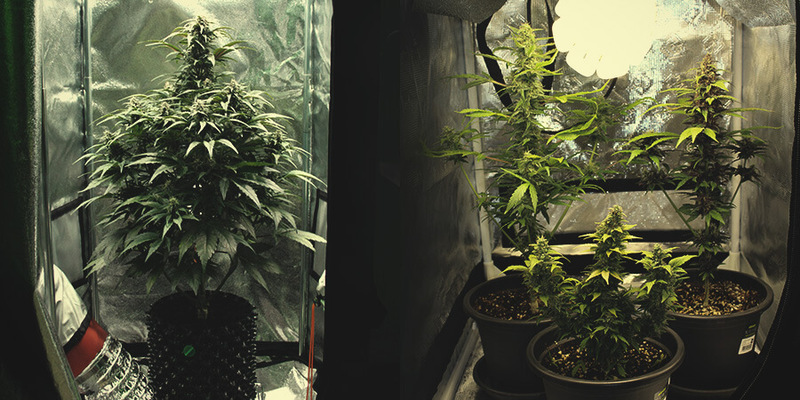 The main difference between a micro grow and a usual indoor grow is exactly that – the amount of space. Due to the lack of space, all the other basic aspects of cannabis growing – light, water and air supply, soil, the choice of strains – differ slightly from your regular indoor grow. Almost any space you imagine can be used for micro growing, from cupboards to computer cases. The main idea (and challenge) is to create the optimum conditions for your plants to thrive in that space. When it comes to micro growing, choosing the right strain is very important due to the limited space available. One of the things to watch out for is the height of your cannabis strain. Sativas grow higher and more slender than indicas, which tend to be short and bushy. Furthermore, during the flowering phase sativas undergo a 200-300% increase in height, while Indicas increase only by 50-100%, which shows that indicas are more compatible with micro growing. Another reasonable option would be autoflowering strains. No matter what the conditions, autoflowering strains stay small due to their genetics (a great many of them even smaller than indicas) and aren't dependent on the light regime, which means they will have a shorter harvest time. A thing to note is that due to the small quantity of soil your plants will need more fertilizer and water than regular plants. You can't grow cannabis at all without light and you can't grow good quality cannabis without proper lighting. Choosing the optimal lighting for your micro grow is an important decision and you have a variety of lamps to choose from – fluorescent tubes, CFL (energy-saving lamps), HPS, HPI and LED bulbs. When choosing a lighting you got to keep an eye out for the wattage and the heat the lighting produces. When it comes to wattage, an average of 400W is required for a square meter. HPS and HPI lamps are the go-to lightings of indoor growers because of their high light output and 400W is lightweight for this kind of lamps. But, the problem with this kind of lighting is that it produces excess heat, which especially won't help with your micro grow. Due to the lack of space things get very hot very quickly and your plants will be in danger of drying out. But, fear not, this is one of the reasons we have fluorescent tubes and CFLs. They are very similar and both have a great light output, don't dissipate much heat and are available in different light colours. You can help your cannabis plant with different light colours – a plant in the vegetative state needs more blue light, while a flowering plant requires more red light. And at last, LED lamps. A good choice for micro growing, because they have a wide light spectrum and virtually don't heat at all, but they come with a hefty price and may not be suitable if you're planning a certain budget. As with light, your plants can't live and grow without water and air. Having a good and clean ventilation and water supply system is a necessity for any grow, including micro grows. The movement of air is necessary to a grow, because CO2-rich air is quickly depleted and that is a requirement for your plant's photosynthetic process, which causes new plant cells to grow. The heated air due to the lighting needs to get out of the grow too, as it dries out the plants. Usually, table fans are used in indoor grows, combined with ventilation systems, but that is probably not practical for your micro grow. A neat solution is a computer fan. You put one at a low point that will act as your intake fan and put another one in a higher position to act as an exhaust fan. This way, as heat rises, the hot air will come out first, replacing it with cooler and fresher air. Don't forget to use some kind of filters on the fans which will help you battle unwanted pests and odors. Watering your micro grow becomes tricky after a while, as the plants become bushier and expand in width. You will need to use a small water system or make the grow accessible from the side to water your plants from the bottom. Don't forget that plants in micro grow need more water than plants in regular grows, as they have less root space. It was mentioned before, that space is the main difference between micro growing and a regular indoor grow. This lack of space usually calls for shorter and bushier plants, which is shown in the choosing of the right strain. 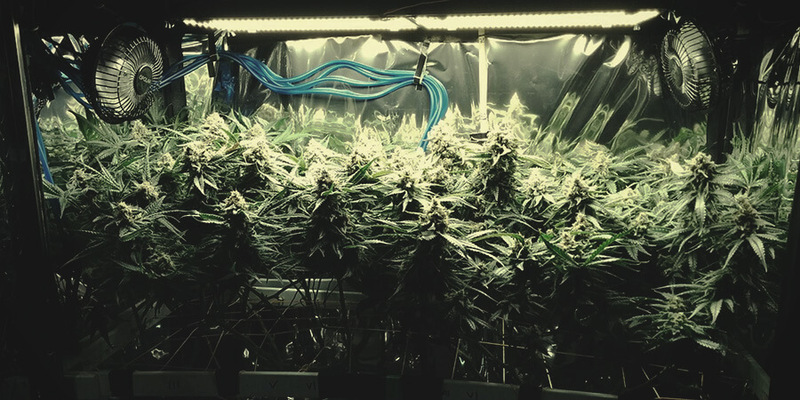 There are other ways to influence a plants growth, such as various growing techniques: topping, super cropping,screen of green (ScrOG) and low stress training (LST). Topping is the process of cutting off the very top of the plant, which stimulates the plant to grow new secondary branches. This way, the plant grows in width and not height, growing in a bush-like shape and creating more buds. Super cropping (or HST – high stress training) on the other hand, requires you to break the stem of the main branch. This technique needs to be done carefully. You need to break the stem in such a way, that the plant thinks it is gone for good and starts growing side branches, but not completely, so that the main branch can recover and grow to a smaller height. The ScrOG technique requires you to put a mesh wire screen between the soil and the light source. Once the branches grow through the screen, you can tie them to the screen to force them to grow horizontally, hence the name. With ScrOG you manage the height of the plant and all the tops get the same light. LST is a somewhat similar technique, where you tie your plants higher branches to the soil, forcing the plant to grow side branches and more colas, with the end result being a higher yield in a smaller space, perfect for micro growing. Beginner growers need to know that a micro grow isn't a worthy substitute for a real indoor or outdoor grow. But, it is perfect as a starting point to develop that green thumb and to learn about the important things you need for a good cannabis grow. Feel free to try out and experiment with new strains, techniques and instruments, as long as you treat your plants with care. The whole process of growing a plant is a reward in itself, not to mention the harvest, so what are you waiting for?